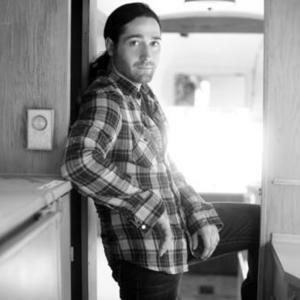 You are Viewing two artists listed as "Josh Thomson" on last.fm 1) The country artist signed to Columbia Nashville: Josh Thompson (born January 23, 1978 in Cedarburg, Wisconsin) In Josh Thompson, working-class country has found its most authentic spokesman in a generation. A compelling singer, he is an artist whose songwriting reflects both the gritty realities of blue-collar life and the beer-fueled release of the Friday-night honky-tonk. There is no doubt about his work ethic, which was perhaps most evident in the days when he was juggling the publishing deal he earned just seven months after moving to Nashville and the trade he had worked at since he was 12. "I was still pouring concrete three days a week," he says. "A lot of times I'd start at 7, then wash off with a garden hose and head to a writing appointment. Some nights I'd write songs until 2:30, get up at 6, splash some water on my face and do it again." That work ethic, the honesty in his writing and the energy in his performances have combined to make Josh a powerful new voice in country music. Thompson's Columbia Nashville debut, Way Out Here, showcases the man who has lived the music he makes. Way Out Here, above all, shows Thompson's personal journey through the landscape of the people whose love and loss, living and dying have fueled the best of country music. At its core are "who I am" songs that define the salt-of-the-earth characters whose concerns Josh knows and relates so well--"Name In This Town" is a look at the place of reputation and identity in a small community; "I've Always Been Me" is a man owning his own good and bad, taking pride in the authenticity he brings to living; "You Ain't Seen Country Yet" waves its allegiance to country life proudly; and "Way Out Here," the album's title cut, takes the listener as far back into backwoods life as it's possible to go. Romance gets varied treatment, from "Won't Be Lonely Long," a hell-raiser about being dumped as the gateway to a great Friday night, and "I Won't Go Crazy," a waltz about staying sane that wears its sense of irony proudly, to "Back Around?, a tender look at a young couple discovering love. "Blame It On Waylon" brings a heavy backbeat and outlaw attitude to a song that probes the origins of everything from Josh's scars to his personality. Then, from opposite ends of the spectrum, two of the CD's most affecting songs are "Sinner" and "Beer on the Table." "Sinner" is a nakedly honest song about the nature of sin, grace and redemption, a powerful and affecting piece of work. "Beer on the Table" is one of the most down-to-earth working man's anthems in years, a look at the dance between work and play, and the hard-won, easy-go nature of money that ties them together. Produced by Michael Knox (Jason Aldean), the CD captures both the emotional nuance that marks Josh's work and the raucous energy that sparks his live performances. Before the release of his own album, Josh was best known for penning the title cut to Jason Michael Carroll's latest album, "Growing Up is Getting Old." The song was one of several played for Sony Music Nashville execs by pluggers at Josh's publishing company, and their reaction to his voice and the strength of the songs earned him a meeting with label chief Joe Galante and A&R head Renee Bell. "I played them four songs," says Josh, "and an hour or so later Renee called and said, 'How would you like a record deal?' I said, 'Are you serious?' She said she was, and after the screaming was done, I said yes." The deal capped a life journey that didn't turn musical until Josh was well into his 20s--a journey that began in one of the nation's blue-collar Meccas. Josh was born in Milwaukee to a father he calls "the workingest man you ever saw." He was in the concrete business and Josh started working for him for a dollar an hour during the summer before he was a teenager, helping pour concrete for patios, driveways, basements and garages. His mother sang Patsy Cline and pop standards around the house, while his father listened to the Beach Boys and Everly Brothers. Josh sang along with Randy Travis and other country greats on the radio, but says, "Singing and songwriting were never even in my mind as being a career for me." He was, rather, drawn to sports. "I was quite a rambunctious kid," he says with a laugh, "and instead of putting me on Ritalin, my parents opted to put me in gymnastics." His twelve years as a first-rate gymnast included two as all-around state champion, and he was active in football and track in high school. He worked for his father until he graduated ("by the skin of my teeth," he says), then joined a road crew, moving up to journeyman concrete finisher at nineteen. He worked on "roads, curbs, and miles and miles of city sidewalks," but after three years decided he wanted to go on to college. As an avid outdoorsman who relished the time he spent on his grandfather's 160 acres as a boy, he knew what he wanted to study. "I told my mom one day there was really only one thing I was interested in getting a degree in," he says, "and that was natural resources. I have a deep love and respect for the outdoors, and I didn't want to pour concrete the rest of my life and end up with a broken back and burned out knees at 35. I wanted to do something I loved, even if it meant less money." He went to school an hour and a half from his home and drove back to pour concrete three days a week to help pay for it. "It wasn't much of a college experience," he laughs. "At that point, I wasn't there to party." It was during that period that his casual interest in music became a passion. "I got my first guitar when I was 21," he says. "I took lessons for a while, but once I could make three or four chords, I picked up the rest on my own and started writing. It was almost like a drug for me. I had to do it." He had been turned on to traditional country in his mid-teens and had begun scouring the CD bins at truck stops for Merle Haggard and other classic artists. "'Mama Tried' was the first song that really sparked something in me," he says. Josh recruited some buddies in a rock band to help him put together a country show for a music festival on the Upper Peninsula of Michigan and then for some gigs in "backwoods bars and honky-tonks." "We ended up playing eight shows together," he says. "It was good just to experience getting out and playing in front of people." Then, after two years studying forestry and fish and wildlife management, Josh jumped at the chance to take a wilderness guide course, living with a small group in the deep woods and living off the land. He was hoping to turn the experience into a job "off the grid" in the Alaskan wilderness, but when he didn't land one, he went back to pouring concrete. "I'd work, then go home and write," he says, "and pretty soon I started thinking, 'OK, I'm going to save my money and get to Nashville as soon as I get laid off.' I pretty much lost myself in writing and playing for a year, and then I moved." Josh hit Nashville in January of 2005 with just those eight band gigs and a handful of acoustic gigs under his belt. He rented a room for two weeks until he found a place on Music Row. Then, after seven months of writers' nights, networking and his first attempts at co-writing, he landed a publishing deal with Ash Street Music. "It was a good experience," he says. "It got me into writing with people who had some success and got me some experience in the studio, which is priceless." He wrote nights and on weekends and poured concrete during the day, and when the deal ended, he decided he wanted to start performing again. He traded in his truck for a 15-passenger van, got a band together and started booking gigs. In the first year, they did 102 shows as far afield as Wyoming, playing largely traditional country and a few originals. "We'd go out and do gigs, sometimes all week, then I'd come back to town to pour concrete and write at night," he says. In April of 2008, Josh signed a management deal with Creek House Entertainment's Julianne Drennon. "She believed in me enough to pitch my songs free of charge," he says. She helped him land a publishing deal with Better Angels Music, where he earned a couple of independent label cuts. Before long, he'd written "Growing Up Is Getting Old," which set in motion his own label deal. That again brought into play the power of his work ethic. "In the three-month period between the label offer and the signing," he says, "I wrote about 70 songs, trying to come up with the best songs I could. I came in with six of the songs that we all agreed we loved, and during that period I ended up writing next four." More recently, he has opened for artists including Jamey Johnson to Hank Jr., thrilling an ever-widening audience with his brand of high-energy country. "I love feeding on the crowd," he says. "I love to get them rowdy and get rowdy back. I like to put on a show, to run around and beat the drums a little bit--literally. My drummer gets pissed off sometimes because cymbals are expensive, but what are you gonna do? Music makes you do some crazy things sometimes." Beneath the energy, though, is substance he learned from the masters. "There's nothing you hear Haggard sing that you don't just absolutely believe," he says. "If he's hurting, you know it. To be able to portray that and to be able to pour the pain through the speakers, to bring somebody to tears or make them laugh or slap the dashboard and say, 'Hell, yeah!' --he's great at that. I'm going to continue to write what I feel and what I think is real, and hopefully it can do to somebody what 'Mama Tried' did to me." At bottom is his heartfelt love for his peers - the working men and women who have always been drawn to the kind of music he makes. "I love the blue collar honky-tonk crowd," he says, "the men and women that, like it says in 'Beer On the Table,' pretty much work their butts off all week and like to have a good time Friday night, because that's who I am--a working guy that got lucky enough to get a recording contract." And that means those working men and women have the kind of champion whose talent and empathy come by all too infrequently. It makes the release of Way Out Here worth celebrating. Josh Thomson has that rare combination of a deft musical prowess and magnetic charm. At seventeen, he's an accomplished singer/songwriter whose recent tour has included dates with superstars Teddy Geiger and Brian Littrell, as well as playing at Clay Aiken's CD Release Party. Thompson began singing at the age of five. His mother relates Josh showed an early musical gift and she suspected it would one day become more that a hobby. A native of Clemmons, North Carolina, Thompson recorded some demo tapes in October 2005 which found their way to Hollywood radio promoter Howard Rosen. Duly impressed, Rosen in turn sent the tapes to Grammy-nominated producer, David Grow. "I was knocked out by Josh," said Grow. "The music was very accessible but at the same time had a sophistication which was beyond his years. I knew he really had something and wanted to work with him." Eight months later, with a national tour underway, his self-titled debut CD has been garnering impressive radio airplay nationally. Produced by Grow, the record is a mix of twelve soulful singer/songwriter pop songs with touches of alt-rock and Seal-esque grooves. "I write songs that speak to me first and foremost," says Thompson. "The fact that other people relate to and enjoy my music is amazing. I can't wait to see where this journey leads."